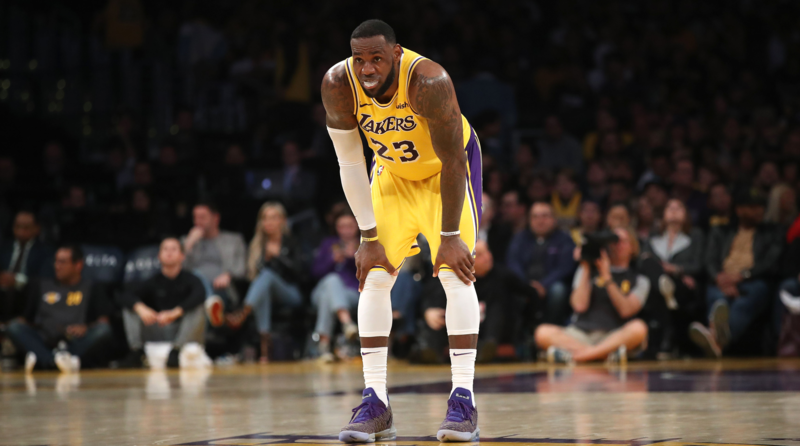 The Lakers have completely collapsed from the moment LeBron James got injured back in their matchup versus the Warriors on Christmas Day. James was held back for 17 games and during that stretch the Lakers went 6-11. When he returned, they were having difficulties with him back in the lineup and there really wasn’t much progress in the wins. After the All-Star break, the Lakers have continued the same path and have kept stacking up the losing column. At this point in the season, they are not making the Playoffs and a huge reason is because they had a lengthy season full of injuries. Lonzo Ball, Brandon Ingram, Rajon Rondo, and LeBron James had the longest injuries and they were also the ones that hurt the team the most. The reason those injuries hurt the team the most were because they were the best players on the team and that led to a downfall in their record. The Lakers current record is 31-39, resulting in them being below .500 (.443).